Keen to avenge the defeat of Flodden and resist English attempts to force Scotland to implement religious reforms, James V ordered a large scale invasion of Cumbria. 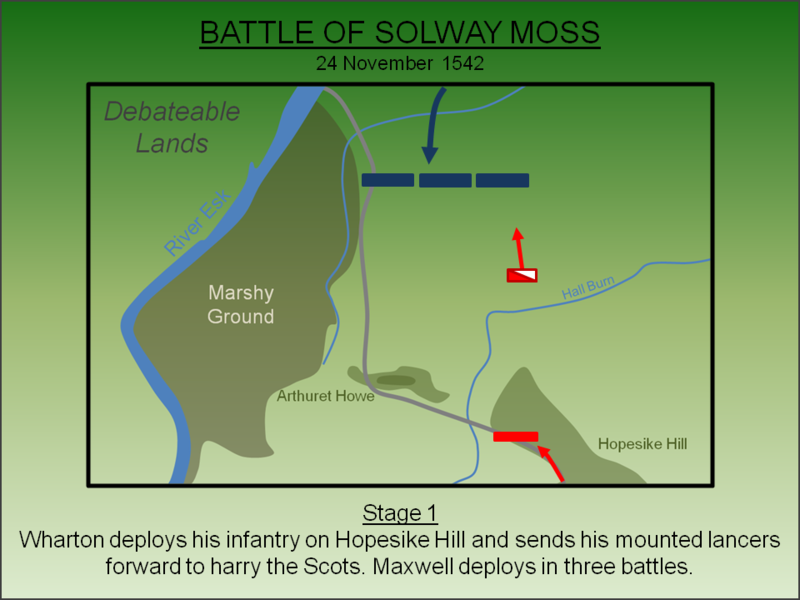 A large force of 18,000 men crossed into England but the campaign ended on the same day it started with a decisive defeat at the Battle of Solway Moss (1542). Following the death of James IV at the Battle of Flodden (1513), Scotland had been under the control of a Regency government. Initially headed by the dowager Queen Margaret, sister to Henry VIII of England, she was displaced by a pro-French faction and was replaced by John Stewart, Duke of Albany. Power ebbed and flowed between Margaret's supporters and those of Stewart whilst the English also intervened by invading and sacking the borders in 1523. Eventually the Albany Regency fell and James V became a substantive ruler in his own right. With Scotland now ruled by the young James V under the influence of his English mother, hopes for improved Anglo-Scottish relations were high. However, in 1534 Henry VIII broke the link between Rome and the English church appointing himself as its Supreme Head. Suppression of the Abbeys and plundering of the wealth of the church followed. Such action was strongly opposed by James V who was heavily influenced by the staunchly Catholic and pro-French magnate Cardinal David Beaton. With Scotland resisting the English move towards religious reform, tensions between the two nations increased significantly. The death of Queen Margaret in 1541 removed the final impediment to war. Henry VIII demanded that James meet him in York to discuss a religious settlement between the two nations but the Scottish King failed to attend. An English army then raided the Scottish borders under the Command of Robert Bowes. 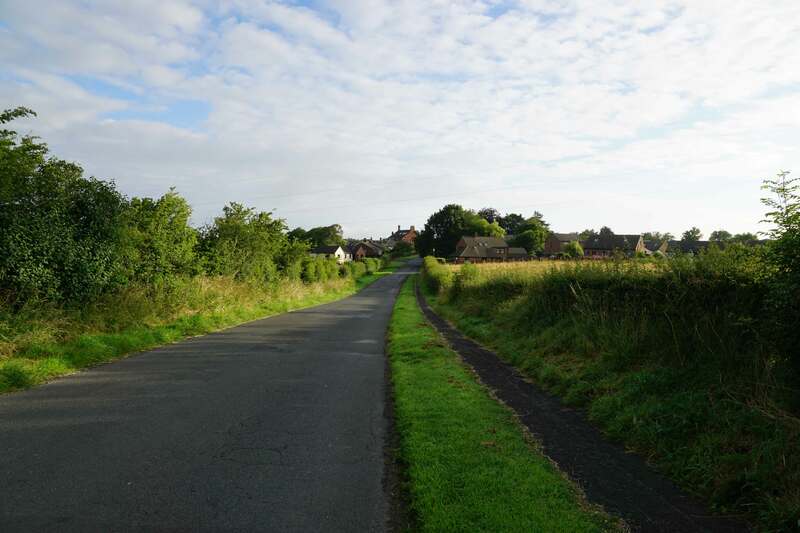 At the Battle of Haddon Rig, fought near Kelso on 24 August 1542, the English were soundly defeated by a Scottish army under George Gordon, Earl of Huntly. A further English raid in October 1542 - under Thomas Howard, Duke of Norfolk - saw Kelso and Roxburgh burnt. Keen to retaliate, James V mustered his forces for a strike into England. James V had planned to lead the expedition himself but fell ill and advanced no further than Lochmaben Castle. Command of the Scottish army then devolved to Lord Robert Maxwell, a senior magnate who had served in the Regency Government and who had actually raised the bulk of the troops for the campaign. However, despite Maxwell's previous service to the Crown, the King did not trust him. James secretly instructed his favourite, Lord Oliver Sinclair, to take command as soon as the army crossed the border. Completely unaware of this decision, Maxwell ordered the army to break camp on the morning of the 24 November 1542, crossed the River Esk at Langholm, entered the Debateable Lands and headed south towards Carlisle. The English had expected the invasion in the east and had deployed the bulk of their available forces at Berwick. By contrast there were only limited forces in the west especially as the post of Warden of the West March was vacant following the death of Henry Clifford, Earl of Cumberland earlier that year. The defence of the area fell to his deputy, Sir Thomas Wharton, who was located in Carlisle Castle - a formidable border fortress that would have provided a safe haven against any attack. The King's Council acknowledged his plight and on 21 August issued orders that he should simply harass the Scots and attack their supply lines. Wharton however was an experienced commander and not one to cower behind the strong walls of Carlisle. He was also confident in the abilities of his small cavalry force, armed mainly with lances, which was ideal for hit-and-run tactics against a larger army. 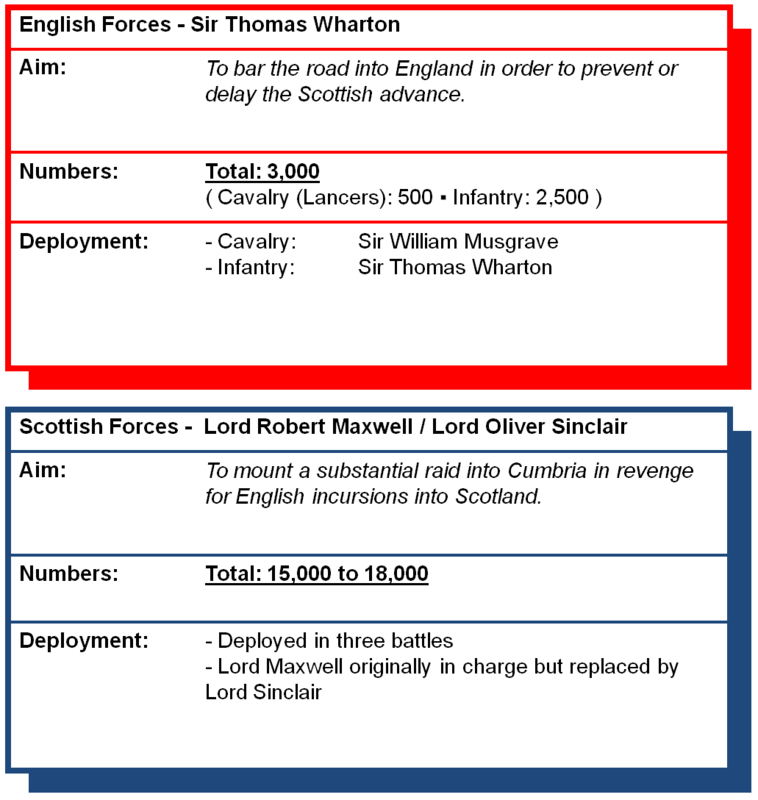 The Scots, still under Lord Maxwell at this time, significantly outnumbered the English; by the most conservative assessment they had a 5 to 1 advantage. They also had a significant artillery force and a small mounted contingent. The battle was fought on the 24 November 1542 on the floodplain of the River Esk. Although Musgrave's attacks did not inflict many casualties amongst the Scottish ranks, the repeated assaults disordered the left flank and caused them to slew towards the centre. With the army's leaders embroiled in the power struggle between Maxwell and Sinclair, no instructions were issued to steady the line or to reconfigure against the threat. 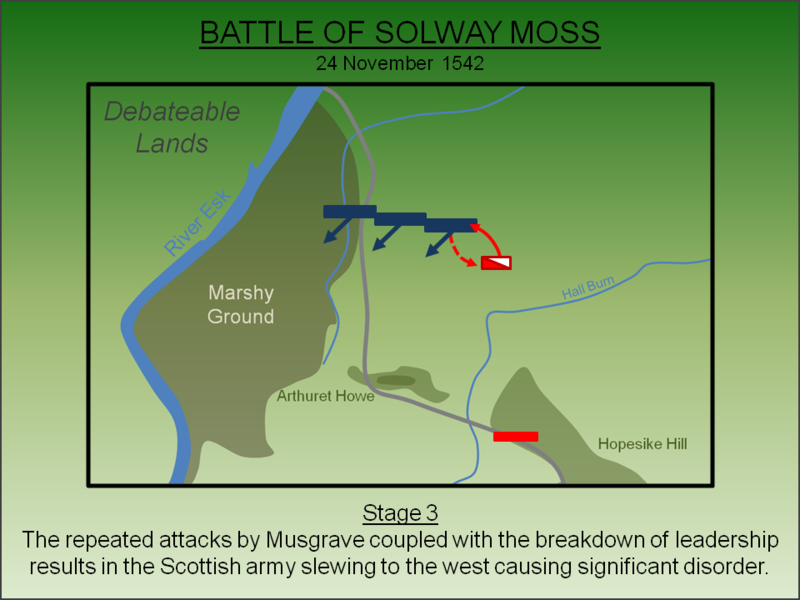 Instead Musgrave's repeated charges meant the entire Scottish force shifted pushing those on the far right of the line into a bog defusing their advance and causing significant disorder. Morale amongst the remaining Scots quickly collapsed and soon their entire army was retreating in a general rout with their artillery and baggage abandoned. They fled back north towards the fording point over the River Esk (in vicinity of modern day Longtown) pursued by Musgrave's lancers. Scottish casualties during the battle had been minimal, perhaps as few as twenty, but as the retreating troops attempted to cross the river hundreds drowned. A further 1,200 were captured including Maxwell and Sinclair. English losses were quoted by Wharton as being just seven men; it was unlikely to have been significantly more given the English infantry were never engaged. James V, still ill with fever, withdrew to Falkland Palace where the humiliated King lamented the capture of Lord Sinclair. On the 14 December 1542, three weeks after the battle, James succumbed to his fever leaving an infant daughter - Mary, Queen of Scots - as his heir. Allegedly he felt his dynasty was on the cusp of ending - for he commented that the House of Stewart (Stuart) "came with a lass and will go with a lass". Whilst his dynasty would actually endure until 1714, when Queen Anne died, in the immediate term it meant the nearest surviving male successor to the Scottish throne was Henry VIII of England. This was not lost on the English and the War of the Rough Wooing followed. Bain, J.S (1890). The Hamilton Papers, Vol. I. Edinburgh. Cameron, J (1998). James V, The Personal Rule. Tuckwell Press, East Linton. English Heritage (1995). Solway Moss 1542 Battlefield Report. English Heritage, Swindon. Lancaster, J.H.D (2016). Solway Moss: Battlefield visit notes and observations. CastlesFortsBattles.co.uk. Lodge, E (1791). Illustrations of British History, Vol. I. London. Ordnance Survey (2015). Cumbria Carlisle. 1:1250. Southampton. There is no monument to the battle and the landscape has changed significantly since the sixteenth century. 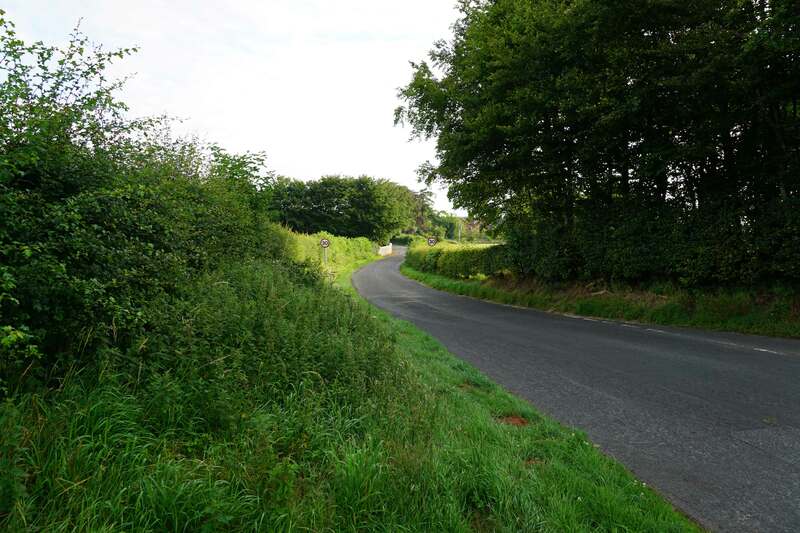 The area where most of fighting took place, around Arthuret Hill, remains undeveloped but modern drainage has converted the area into farmland whereas during the battle it was moorland. 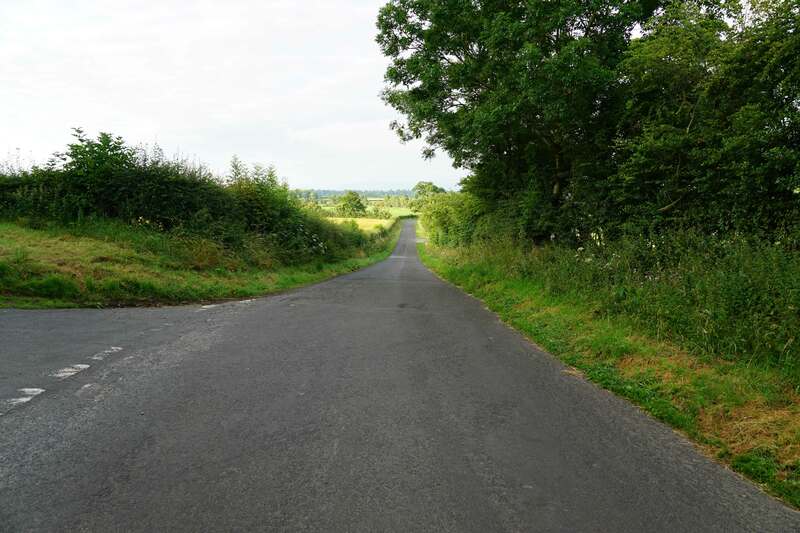 Longtown, which developed in the eighteenth century, means the northern area of the battlefield is now an urban settlement. Notwithstanding these issues, the general terrain can be appreciated by a walk from Longtown to Arthuret Church (in immediate proximity to Authuret Howe which was the final English infantry position). Arthuret Howe. 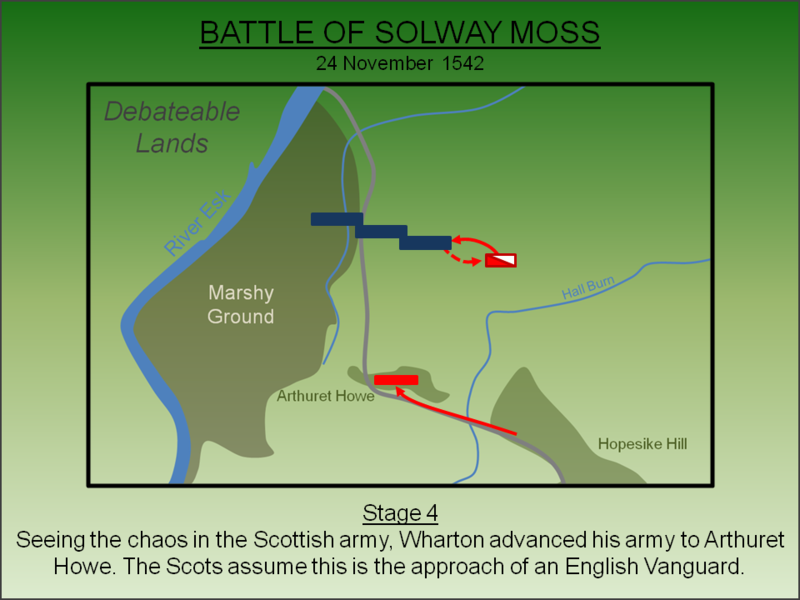 As the cohesion of the Scottish force fell apart, Wharton moved his infantry onto the small hillock known as Arthuret Howe. His advance was mistaken by the Scots as the approach of a vanguard of a much larger army when in actual fact it was the entire English force. Arthuret Howe. 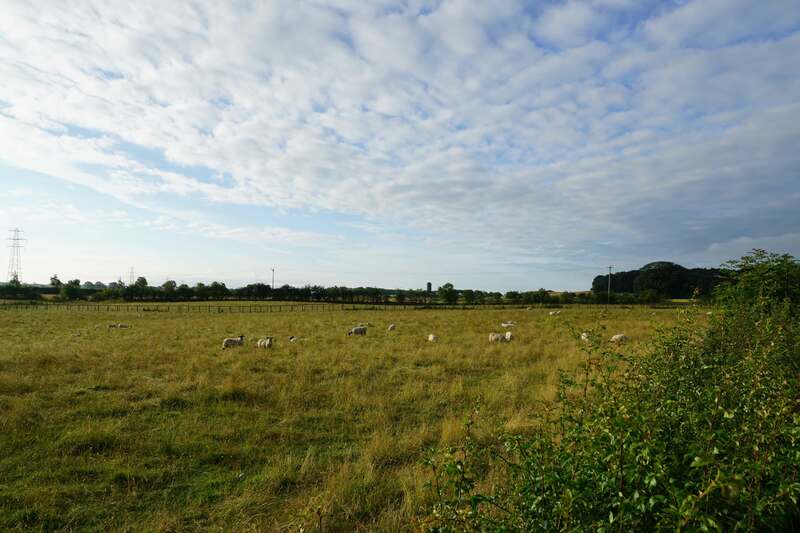 This picture shows the rear of the English position but best highlights the sloping ground which they occupied. 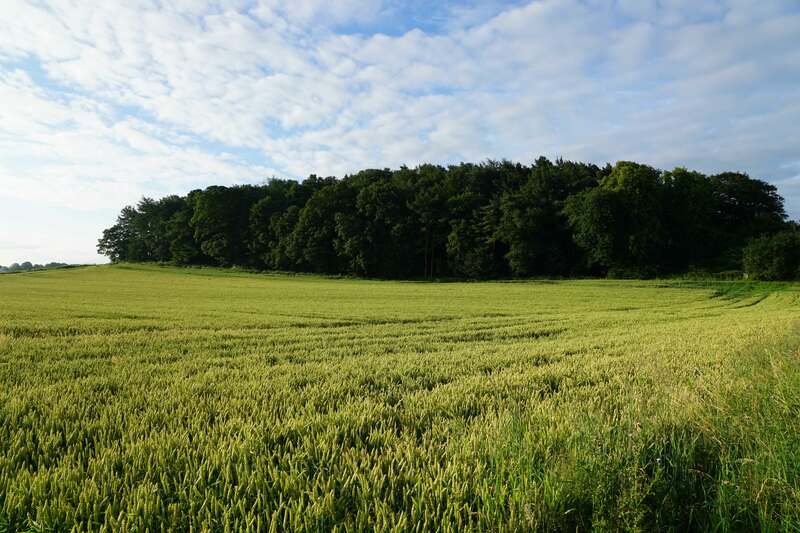 Relative to the flat ground surrounding the rest of the battlefield, it was the dominant position. St Michael's Church. The church was built in 1609, some 67 years after the battle, but replaced an earlier structure. Indeed the church became infamous as the place where blackmail money was paid to the Hutcheon Graham, a notorious Border Reiver. Arthuret Road. 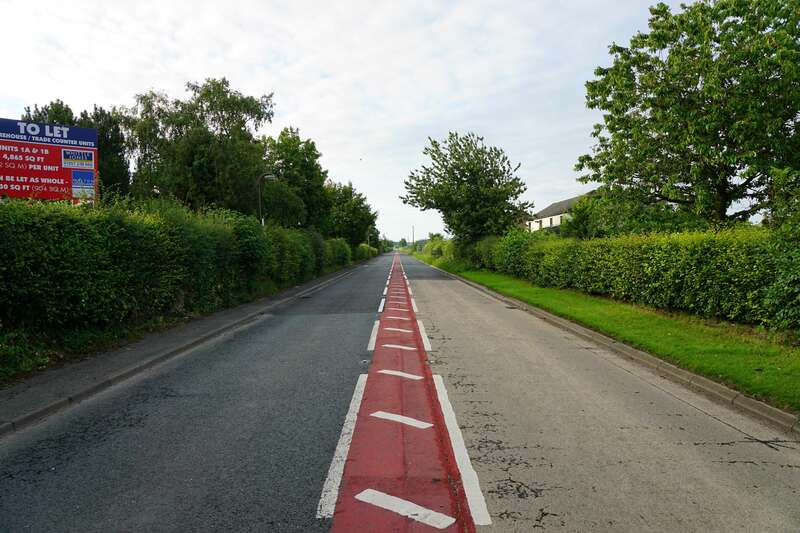 The modern road follows the line of the sixteenth century road which was itself based on an earlier Roman route. On both photographs the Scots advanced towards the camera. 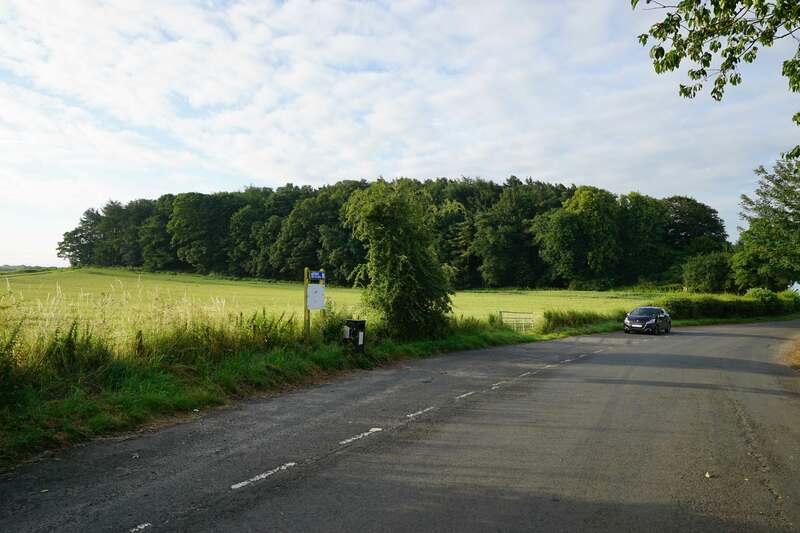 The boggy ground, into which the Scottish right flank was pushed, is to the left. Today it is farmland. The Battlefield. Today the bulk of the battlefield is farmland but in 1542 this was a moor. The A7 cuts through the site. River Esk. 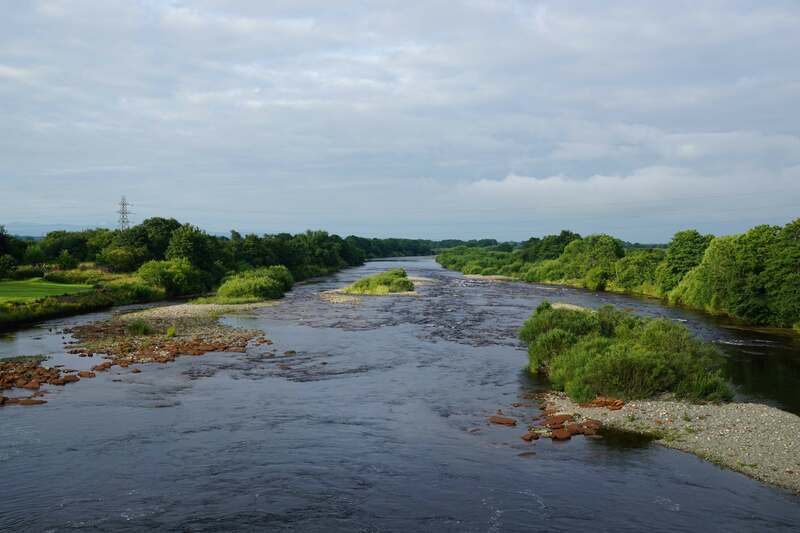 The River Esk claimed the bulk of the casualties as the Scottish troops attempted to cross it to escape the English pursuit. Arthuret Road. The line of advance for the English infantry between their starting position on Hopesike Hill and secondary muster point at Arthuret Howe. There are no sign-posts to the battlefield. 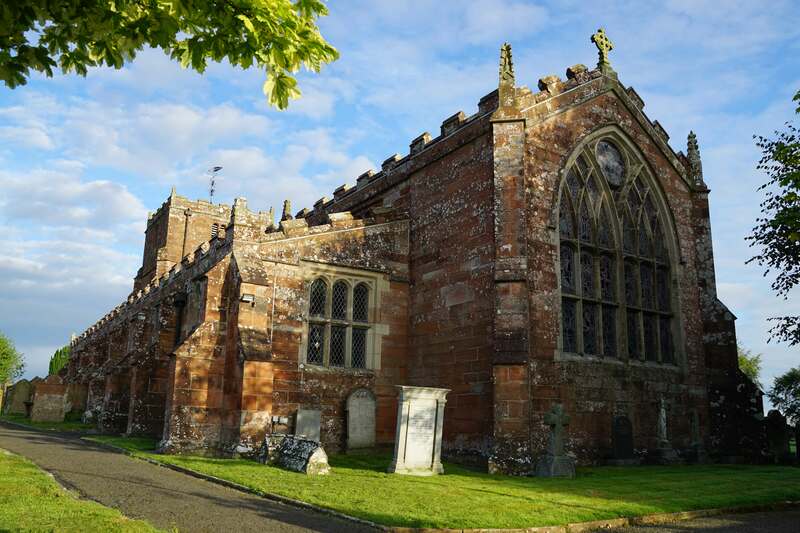 Visitors are advised to either park in Longtown and walk to Arthuret or vice versa (there is a car park adjacent to the church). 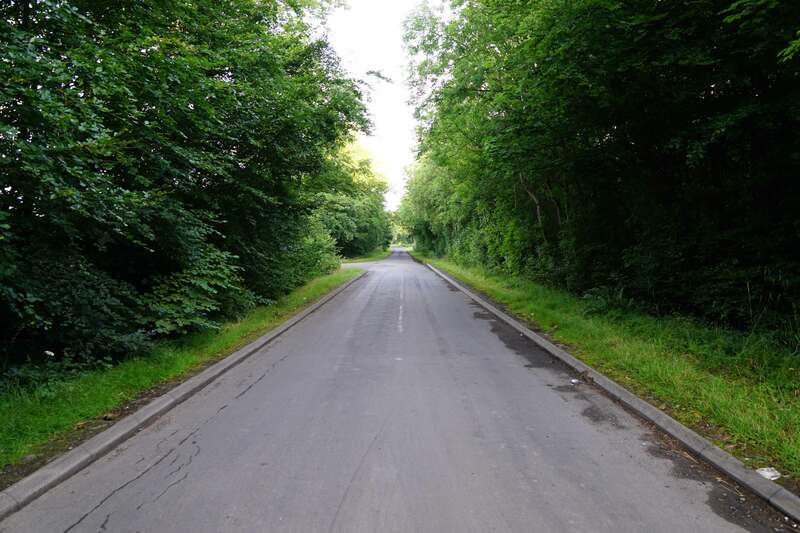 There is a parking bay on the A7, to the south of the battlefield area, but there is little to be seen there and the road cannot be safely walked by pedestrians.